There’s a lot that goes into the planning of a wedding. Between selecting the guest list, the music, the décor, and more, it can be hard to get all of your priorities in line. But the foundation of your big day starts and ends with the location. Finding the right spot to celebrate your special event makes the day even more memorable. Here are the 10 best wedding locations in Michigan. Why pick any land at all? Just head on out to St. Clair Shores and Infinity and Ovation Yacht Charters, where you can have your wedding on one of the nicest boats around that doesn't have Panamanian registry. Cruises run along the Detroit River and Lake St. Clair, and several complete packages are on hand to help get beleaguered wedding planners to the big moment faster. Choose from evening or afternoon packages, each with a variety of special features. You can even have your wedding officiated by a licensed vessel captain. When we say “Ann Arbor,” what's the first thing to come to mind? That's right...farms. And Misty Farm, part of Frutig Farms located about six miles outside of Ann Arbor, will demonstrate why. Featuring a restored 2,400-square-foot barn for a venue, which holds up to 130 people, the site boasts its own pond, natural wetlands and fields, as well as perennial gardens. 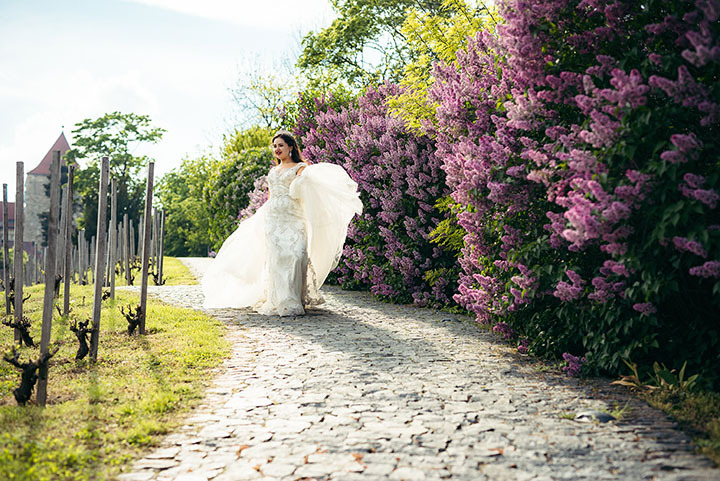 For natural beauty, Misty Farm will deliver, and it will also offer wedding planning services to help ensure that everything goes as right as it can. It's one thing to go to Comerica Park to catch a game, but this Detroit landmark offers more than just baseball. Comerica Park has played host to weddings on several occasions, and is more than ready to offer current-day brides and grooms the chance to get married and host receptions in a variety of event spaces. From cigar lounges to sports bars, just about everything will be available. There's even a slate of catering options available to make sure everyone's well-fed that day. Mackinac Island is a popular tourism destination, so why not make it a wedding destination too? With your choice of venues available therein, from the Front Lawn to the more sheltered Gazebo to the comparatively intimate Tranquility Point location, you'll have the ability to pick just the right setting for the right size gathering. It also makes an excellent honeymoon spot, given that it was a 2016 Readers' Choice Award winning hotel from Conde Nast Traveler. Want to get married surrounded by nature, but not necessarily outdoors? Then Planterra Conservatory in West Bloomfield Township should deliver. An absolutely sweeping edifice of steel and glass, heated to the perfect temperature and kept at the perfect humidity to keep even tropical plants alive during the most horrific of Michigan winters, Planterra can also support up to 180 guests complete with catering options to make for a thoroughly memorable event. Glen Arbor's the Homestead, by itself, isn't perhaps the greatest of venues, but it's situated in just the right place to deliver some truly amazing experiences. Not far at all from the Sleeping Bear Dunes National Lakeshore—the most beautiful beach in America according to Good Morning America back in 2011—the Homestead bills itself as specifically “...designed, built, and is managed to help you enjoy the Most Beautiful Place in America.” Featuring miles of sandy beaches and a spa and salon, you'll have pretty much everything you need for an amazing wedding day. Those who want a more Downton Abbey-style experience may want to head for Eaton Rapids, home of the English Inn. With its own attached pub, it makes a clear case for its English grandeur, and its two types of wedding ceremonies available—Grand and Intimate—you'll be able to get married in a fashion that makes you convinced you were in the English countryside, without ever leaving Michigan! Spring Lake's My Barefoot Wedding offers up complete packages for beachfront weddings. Not just with a beach view, or in the neighborhood, but actually literally on the beach. Hence the term “barefoot,” because no one wants sand in their good shoes. Featuring decorations, a “blessing stones ceremony” complete with blessing stones for the guests and the wedding couple, and a legal filing of the marriage license following the ceremony, this is a celebration you won’t forget. If you've ever thought that a wedding was just a big theatrical event, then live the part at Pontiac's Flagstar Strand. Available for events, the Flagstar Strand offers a 900-seat main room, a 90-seat screening room, several bars, and even an art gallery. There are even rehearsal spaces and dressing rooms, so whatever your event may need, set it up at the Flagstar Strand! A combination of history and flowers like no tomorrow awaits those who want to get married at the Windmill Island Gardens in Holland. Featuring over 36 acres of gardens, an authentic-style windmill, and over 100,000 tulips blooming every spring, there's a lot to see here. Windmill Island Gardens offers a complete wedding package with a gazebo, chair space, and complete setup and take down operations. Those who want to get married surrounded by the splendor of flowers in springtime will have a great opportunity to do so right here.